The Steelers‘ plan remains to trade Antonio Brown. But Kevin Colbert reiterated they will not pull the trigger if they do not believe the compensation is appropriate. Pittsburgh still wants to trade Brown to the NFC, but Jeremy Fowler of ESPN.com tweets the organization is prioritizing compensation over a preferred destination. Colbert said an intra-division trade is not ideal but did not put the Bengals, Browns or Ravens as non-starter suitors, saying “we haven’t eliminated anybody” from the trade picture. Colbert added more teams have reached out, which makes sense with all 32 teams in Indianapolis for the Combine. The Steelers would seemingly prefer to deal Brown before March 17, when his $2.5MM bonus is due, but Colbert said (via Pro Football Talk, on Twitter) the team is open to paying him the bonus and trading him later. New Ravens GM Eric DeCosta has said the team wants C.J. Mosley back, and a report indicated they also want to re-sign Terrell Suggs for a 17th season. DeCosta on Wednesday said he expects Brandon Carr to stay put. 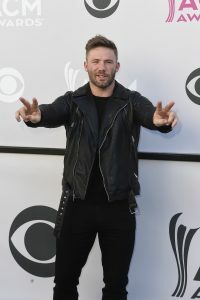 However, the new front office boss was not as certain on Jimmy Smith and Eric Weddle joining Carr in the 2019 Baltimore secondary, Jeff Zreibec of The Athletic tweets. Carr, who will be 33 in May, is due $7MM. Weddle, 34, has one season left on his four-year deal. It would save the Ravens $7.5MM by cutting him. After indicating he would want to retire if the Ravens didn’t want him back, Weddle recently changed his tune. Smith is just 30, and a release would cost the Ravens more than $6MM. But they could save $9MM-plus by making him a cap casualty. Baltimore currently holds barely $20MM in cap space. With Kareem Hunt now in the fold, the Browns‘ backfield is crowded. Nick Chubb will likely be the Cleveland starter for much of this season, with Hunt in line for a suspension that could comprise more than half of the 2019 season. Duke Johnson remains, too, and although he has done his best work in the passing game, Freddie Kitchens said (via cleveland.com’s Mary Kay Cabot, on Twitter) the team is not planning to move its passing-down back to wide receiver. The Bengals refuted a report that they are trying to deal 2017 first-rounder John Ross. With just less than four weeks remaining until the trade deadline, Le’Veon Bell-to-the-Eagles has surfaced on the rumor circuit. The Eagles are reportedly giving serious consideration to making a run at the likely rental running back. But SI.com’s Albert Breer isn’t so sure that’s going to happen. The Eagles don’t see running back as a spot to sink major resources into, per Breer. Bell’s approximately $10MM salary would qualify as a major investment, although that’s dropping by the week because of this unusual holdout. Philadelphia has just less than $5MM in cap room, and Breer notes the improving health of its running backs should help them steer clear of these interesting Bell sweepstakes. Corey Clement and Darren Sproles have yet to return to practice, and Jay Ajayi is playing with a back fracture. The Eagles traded a fourth-rounder for Ajayi before the 2017 trade deadline. Bell as of now plans to report to the Steelers during their Week 7 bye. Randy Gregory‘s reinstatement conditions caused him to miss the Cowboys‘ Thursday practice. The defensive end was in Chicago meeting with medical director of the NFL’s substance-abuse program, Clarence Hill of the Fort Worth Star-Telegram reports (on Twitter). He most recently attended this type of summit during the preseason. The NFL reinstated Gregory this summer after his extensive substance-abuse-induced hiatus. His status for Week 5 doesn’t appear to be in question. Gregory’s played 64 snaps this season. Jimmy Smith‘s return to action this week doesn’t appear to mean Brandon Carr will be bumped from first-string duties. The 11th-year cornerback has started 164 straight games (and every game he’s played as an NFLer), and Ravens DC Wink Martindale doesn’t plan on stopping that run, Ryan Mink of BaltimoreRavens.com notes. Smith is eligible to return after a four-game suspension. Carr, Marlon Humphrey and slot man Tavon Young have worked as Baltimore’s top three corners this season. Smith was thriving prior to his season-ending injury last year, so it should be expected he’ll play a big role soon, even if he doesn’t start immediately. Carr’s 164-game start streak resides as the longest among defensive players by 28 games. While Jon Gruden wanted to take Derwin James in the first round, Vic Tafur of The Athletic writes (subscription required) the Raiders weren’t doing anything except taking a tackle in Round 1. However, if Kolton Miller was gone at No. 15 — where the Raiders dropped to after dealing the No. 10 selection to the Cardinals — Tafur notes they were going to take James or trade down further. The Dolphins were projected to be among the teams examining the crop of potential first-round quarterbacks, but their 3-1 start could change that. Early in the mock process, Matt Miller of Bleacher Report has the Dolphins taking Clemson cornerback Trayvon Mullen, a player whom multiple area scouts have rising into the first round after a strong start to the season. As for where Miller projects the QBs to fall in Round 1, he has the Giants taking Oregon’s Justin Herbert and No. 5, the Patriots grabbing Auburn’s Jarrett Stidham at No. 17 (though, that draft slot seems certain to drop) and the Bengals selecting Missouri’s Drew Lock at 28. Ravens defensive back Jimmy Smith has been suspended for the first four games of the regular season, the league announced. Smith was originally facing a six-game ban, but the suspension was reduced to four games after Smith met with the NFL, tweets Jeff Zrebiec of The Athletic. Prior to the ban, the NFL was monitoring a child custody case between the player and his child’s mother. Last year, the woman had accused Smith of domestic violence and drug use, allegations that the cornerback denied. Ultimately, an NFL investigation found that the allegations had merit. “The NFL found evidence of threatening and emotional abusive behaviors by Jimmy [Smith] toward his former girlfriend that showed a pattern of improper conduct. 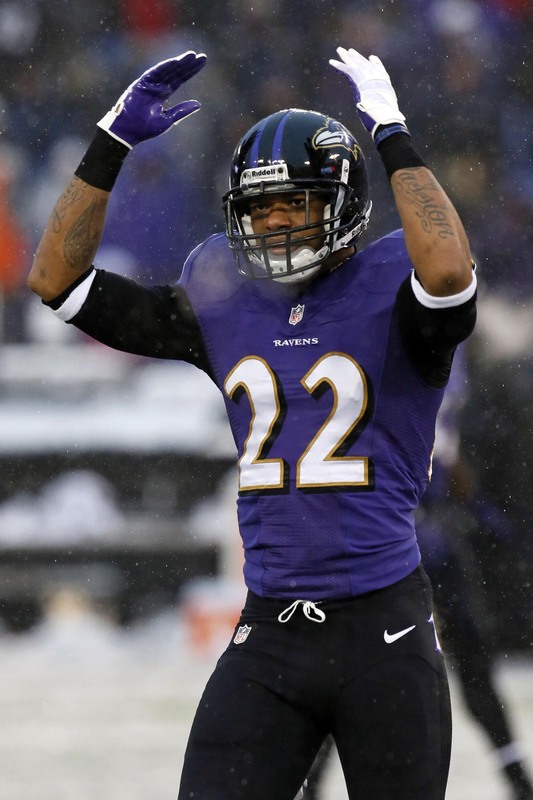 Our player’s behavior was inappropriate and wrong,” the Ravens said in a statement. Smith missed the final quarter of last season with a torn Achilles tendon, meaning that he’ll go roughly eleven months between snaps thanks to this suspension. In his injury-shortened campaign, Smith had 28 tackles, nine passes defended, and three interceptions. The Ravens are undoubtedly frustrated by the situation, but they have reason to stick with him through the ban. Last year, Smith was operating as one of the Ravens’ best players and was Pro Football Focus’ No. 12 corner coming into the ill-fated game. The Ravens will be without Smith for the first four games of the season against the Bills, Bengals, Broncos, and Steelers. He’ll be eligible to return in Week 5 against the Browns. The Ravens are preparing for cornerback Jimmy Smith to receive a multi-game suspension for violation of the league’s personal conduct policy, sources tell Jeff Zrebiec of The Athletic. The 30-year-old is appealing the punishment, and after leaving the team this weekend, he isn’t expected to play during Monday’s game against the Colts. The organization had known about the impending suspension for some time, and Smith was set to meet with league officials today. Specifics of Smith’s violation aren’t clear, but Zrebiec reports that the league had been monitoring a child custody case between the player and his first child’s mother. Last year, the woman had accused Smith of domestic violence and drug use, allegations that the cornerback denied. The seven-year veteran has missed plenty of time since entering the league, and his 2017 campaign ended with a torn Achilles’ tendon. The NFL suspended Smith soon after for performance-enhancing drugs. The cornerback was banned for four games, but he was allowed to serve the suspension while he recovered from his injury. The cornerback ultimately finished the campaign having compiled 28 tackles, nine passes defended, and three interceptions. The Ravens had worked out cornerback Bashaud Breeland back in July, and they could reconsider signing the free agent if Smith is indeed suspended. The Ravens could also roll with their current crop of cornerbacks, a grouping that includes Brandon Carr, former first-rounder Marlon Humphrey, and rookie fourth-rounder Anthony Averett. At Vikings OTAs this week, they placed Mike Remmers back at right tackle, per Michael Rand of the Minneapolis Star Tribune. Remmers finished last season playing guard, and the Vikings used a second-round pick on tackle Brian O’Neill out of Pittsburgh. Minnesota had UFA signee Tom Compton working as its first-string right guard during OTAs, per Rand. Compton has never been a full-time starter in his six-year career, coming closest with the 2014 Redskins, who used him as a nine-game starter. Last season, the Bears started Compton in five of the 11 games he played. Minnesota lost its most effective blocker, Joe Berger, to retirement and did not make any notable additions beyond Compton at the guard spot. The Browns have made some adjustments to their front office and scouting department, and Mary Kay Cabot of cleveland.com expects that to continue. She targets the VP of player personnel decision as a possible turnover spot. Alonzo Highsmith, Ken Kovash and Andrew Berry currently reside in that role. John Dorsey just hired Highsmith, and Cabot reports Berry is safe from a change despite being an integral part of the previous regime. The Browns promoted Kovash shortly after the Sashi Brown regime took over in 2016 after he’d previously worked as the franchise’s director of football research. Converted cornerback Damarious Randall will be the Browns’ starter at free safety this season, relocating Jabrill Peppers to strong safety, per Cabot. Gregg Williams‘ deep placement of Peppers, sometimes more than 25 yards off the ball, became a constant source of discussion and derision among Browns fans, and Peppers himself may be a bit tired of the jokes. But the Browns will now place him closer to the line of scrimmage, which is similar to the role he had at Michigan. Optimism exists around Ravens cornerback Jimmy Smith, who saw a strong season end early in 2017 because of a torn Achilles, but Jeff Zreibec of the Baltimore Sun notes the veteran may not be ready for the start of training camp. The career-long Raven is going into his age-30 season. Additional Ravens’ timelines are coming into focus as well. Defensive lineman Carl Davis, who started nine games last season, underwent surgery to repair a tear in his shoulder earlier this offseason, Zreibec reports. The former third-round pick is questionable to participate in minicamp. Offensive lineman Nico Siragusa also had an operation this offseason. The 2017 fourth-round pick missed all of last season because of ACL, MCL and PCL tears and required an additional knee surgery this year. Zreibec reports the goal for him is a training camp return. As for Alex Lewis, Baltimore’s projected guard starter opposite Marshal Yanda, he’s fully recovered from the shoulder injury that nixed all of his 2017 season, Zreibec notes. The Steelers aren’t sure where to station Cameron Sutton. The 2017 third-round pick played 117 snaps as a rookie after an injury delayed his NFL debut. Pittsburgh may be planning to use him at outside or slot cornerback, or as a safety alongside Morgan Burnett, Tim Benz of the Pittsburgh Tribune-Review writes. But he notes that Artie Burns and Sean Davis will still have first crack at their respective jobs, outside cornerback and the non-Burnett safety starter, with the Steelers still hoping for the high draft picks’ upside to show. Mike Hilton remains the frontrunner to be the Steelers’ slot corner, where the former UDFA fared well in 2017. Before his injury, Smith had compiled 28 tackles, nine passes defended, and three interceptions. The 2011 first-round pick has spent his entire seven-year career with the Ravens. Newsome previously said that the team is expected to reset the wide receiver position this offseason, and Zrebiec tweets that the sentiment “doesn’t bode well” for the returns of wideouts Jeremy Maclin and Mike Wallace. The duo combined for only 92 receptions, 1,188 yards, and seven touchdowns last season. Maclin has one year remaining on his contract (along with a $7.5MM cap hit), while Wallace is an unrestricted free agent. With the Ravens apparently seeking reinforcement at wide receiver, CBS Sports’ Jason La Canfora tweets that a reunion with Torrey Smith is a “very real possibility.” The Eagles are expected to decline the 29-year-old’s 2018 option. Smith started 14 games during his only season in Philly, hauling in 36 receptions for 430 yards and two touchdowns. The 2011 second-round pick spent the first four seasons of his career in Baltimore. The felony robbery charge against cornerback Marlon Humphrey has been dismissed, reports ESPN.com’s Jamison Hensley. The 2017 first-rounder was accused of stealing a phone charger from an Uber, but Judge Joanne Jannik ruled that there was no probable cause to prosecute. 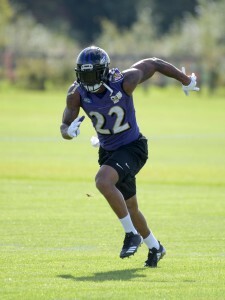 After being selected 16th-overall in last year’s draft, Humphrey filled in admirably for Jimmy Smith, compiling 34 tackles and two interceptions. Jeff Zrebiec of the Baltimore Sun writes that, before Jimmy Smith‘s season-ending Achilles tear last week, there was talk that the Ravens could release Brandon Carr to create cap space and rely on Smith and the team’s cadre of young and talented corners. Zrebiec, though, thought that was a bad idea before the Smith injury, and he believes it’s even worse now. Carr has played reasonably well, and Smith’s latest injury is just further proof that Baltimore cannot count on him for a full season (he may not even be ready for the start of 2018). Zrebiec thinks the Ravens should not only retain Carr, but they should also continue to bolster their CB corps. It does not sound as if the Browns will face any discipline for their alleged violation of the Rooney Rule in their hiring of John Dorsey. La Canfora reports that he spoke last night with John Wooten, chairman of the Fritz Pollard Alliance, and Wooten indicated that his concerns with Cleveland’s GM search have been addressed. Wooten added that he has no issue with the hiring of the highly-qualified Dorsey (Twitter links). The waiver period for claiming the contract of former Browns wide receiver Kenny Britt ends tomorrow at 4pm, as Mike Florio of Pro Football Talk observes. While Cleveland would love for someone to claim Britt off waivers, thereby absolving the Browns of the balance of his salary, that seems unlikely at this point. Florio writes that Britt wants to sign with a playoff contender if he clears waivers, and that the Patriots could be a team to watch in that scenario. A ruling on A.J. McCarron‘s grievance will be made in February, as La Canfora reports. The Bengals‘ backup QB has argued that he should be an unrestricted free agent when the 2018 league year opens, while the league feels he should be a restricted free agent. In any event, the matter will be resolved before free agency gets underway.